Renegade Latitude, 4WD, Granite Crystal Metallic Clearcoat, Watermark's Warranty Forever, 17" Aluminum Wheels, Passive Entry Remote Start Package, Passive Entry/Keyless Go, Quick Order Package 2EJ. 2018 Jeep Renegade Latitude The Watermark Warranty Forever is valid for as long as you own the vehicle & for an unlimited time, unlimited miles. How much is it? Zero. We're building "Customers for Life" so the Watermark Warranty Forever comes standard with every qualifying vehicle meeting the criteria and is included at no extra charge. There are no catches, hidden fees, or gimmicks. Our dealership provides this product as an added value to our Customers for doing business with us. Renegade Latitude, 4WD, Glacier Metallic, Watermark's Warranty Forever, 17" Aluminum Wheels, Passive Entry Remote Start Package, Passive Entry/Keyless Go, Quick Order Package 2EJ. 2018 Jeep Renegade Latitude The Watermark Warranty Forever is valid for as long as you own the vehicle & for an unlimited time, unlimited miles. How much is it? Zero. We're building "Customers for Life" so the Watermark Warranty Forever comes standard with every qualifying vehicle meeting the criteria and is included at no extra charge. There are no catches, hidden fees, or gimmicks. Our dealership provides this product as an added value to our Customers for doing business with us. Cherokee Latitude, Bright White Clearcoat, Watermark's Warranty Forever, 17" Painted Aluminum Wheels, Deep Tint Sunscreen Glass, Popular Appearance Group. The Watermark Warranty Forever is valid for as long as you own the vehicle & for an unlimited time, unlimited miles. How much is it? Zero. We're building "Customers for Life" so the Watermark Warranty Forever comes standard with every qualifying vehicle meeting the criteria and is included at no extra charge. There are no catches, hidden fees, or gimmicks. Our dealership provides this product as an added value to our Customers for doing business with us. Cherokee Latitude, Bright White Clearcoat, Watermark's Warranty Forever, Bluetooth Connection, 17" Painted Aluminum Wheels, Deep Tint Sunscreen Glass, Popular Appearance Group, Quick Order Package 2BJ. 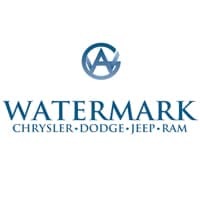 2019 Jeep Cherokee Latitude The Watermark Warranty Forever is valid for as long as you own the vehicle & for an unlimited time, unlimited miles. How much is it? Zero. We're building "Customers for Life" so the Watermark Warranty Forever comes standard with every qualifying vehicle meeting the criteria and is included at no extra charge. There are no catches, hidden fees, or gimmicks. Our dealership provides this product as an added value to our Customers for doing business with us. Cherokee Latitude, Diamond Black Crystal Pearlcoat, Black Cloth, Watermark's Warranty Forever, 17" Painted Aluminum Wheels, Deep Tint Sunscreen Glass, Popular Appearance Group. The Watermark Warranty Forever is valid for as long as you own the vehicle & for an unlimited time, unlimited miles. How much is it? Zero. We're building "Customers for Life" so the Watermark Warranty Forever comes standard with every qualifying vehicle meeting the criteria and is included at no extra charge. There are no catches, hidden fees, or gimmicks. Our dealership provides this product as an added value to our Customers for doing business with us. Cherokee Latitude, Diamond Black Crystal Pearlcoat, Watermark's Warranty Forever, 17" Aluminum Wheels, Deep Tint Sunscreen Glass, Electronic Stability Control, Fully automatic headlights, Popular Appearance Group, Radio: Uconnect 4 w/7" Display, Remote keyless entry, Traction control. 2019 Jeep Cherokee Latitude The Watermark Warranty Forever is valid for as long as you own the vehicle & for an unlimited time, unlimited miles. How much is it? Zero. We're building "Customers for Life" so the Watermark Warranty Forever comes standard with every qualifying vehicle meeting the criteria and is included at no extra charge. There are no catches, hidden fees, or gimmicks. Our dealership provides this product as an added value to our Customers for doing business with us. Cherokee Latitude, Diamond Black Crystal Pearlcoat, Watermark's Warranty Forever, 17" Painted Aluminum Wheels, Deep Tint Sunscreen Glass, Popular Appearance Group. The Watermark Warranty Forever is valid for as long as you own the vehicle & for an unlimited time, unlimited miles. How much is it? Zero. We're building "Customers for Life" so the Watermark Warranty Forever comes standard with every qualifying vehicle meeting the criteria and is included at no extra charge. There are no catches, hidden fees, or gimmicks. Our dealership provides this product as an added value to our Customers for doing business with us. Cherokee Latitude, Billet Silver Metallic Clearcoat, Watermark's Warranty Forever, Bluetooth Connection, 17" Painted Aluminum Wheels, Deep Tint Sunscreen Glass, Popular Appearance Group. The Watermark Warranty Forever is valid for as long as you own the vehicle & for an unlimited time, unlimited miles. How much is it? Zero. We're building "Customers for Life" so the Watermark Warranty Forever comes standard with every qualifying vehicle meeting the criteria and is included at no extra charge. There are no catches, hidden fees, or gimmicks. Our dealership provides this product as an added value to our Customers for doing business with us. Cherokee Latitude, Billet Silver Metallic Clearcoat, Watermark's Warranty Forever, 17" Aluminum Wheels, Deep Tint Sunscreen Glass, Electronic Stability Control, Popular Appearance Group, Traction control. The Watermark Warranty Forever is valid for as long as you own the vehicle & for an unlimited time, unlimited miles. How much is it? Zero. We're building "Customers for Life" so the Watermark Warranty Forever comes standard with every qualifying vehicle meeting the criteria and is included at no extra charge. There are no catches, hidden fees, or gimmicks. Our dealership provides this product as an added value to our Customers for doing business with us. Cherokee Latitude, Velvet Red Pearlcoat, Watermark's Warranty Forever, 17" Painted Aluminum Wheels, Deep Tint Sunscreen Glass, Popular Appearance Group, Uconnect 4 7" Display, Remote keyless entry, Traction control. The Watermark Warranty Forever is valid for as long as you own the vehicle & for an unlimited time, unlimited miles. How much is it? Zero. We're building "Customers for Life" so the Watermark Warranty Forever comes standard with every qualifying vehicle meeting the criteria and is included at no extra charge. There are no catches, hidden fees, or gimmicks. Our dealership provides this product as an added value to our Customers for doing business with us. Renegade Latitude, 4WD, Granite Crystal Metallic Clearcoat, Watermark's Warranty Forever, 17" Aluminum Wheels, All-Season Floor Mats, Cold Weather Group, Heated Front Seats, Heated Steering Wheel, Passive Entry Remote Start Package, Passive Entry/Keyless Go, PTC Auxiliary Interior Heater, Quick Order Package 2EJ, Windshield Wiper De-Icer. 2018 Jeep Renegade Latitude The Watermark Warranty Forever is valid for as long as you own the vehicle & for an unlimited time, unlimited miles. How much is it? Zero. We're building "Customers for Life" so the Watermark Warranty Forever comes standard with every qualifying vehicle meeting the criteria and is included at no extra charge. There are no catches, hidden fees, or gimmicks. Our dealership provides this product as an added value to our Customers for doing business with us.